CORNERSTONE CEREMONY DELAYED: MASONS A CULT? It seems that a Masonic cornerstone ceremony for a school in Visalia, california has been delayed, or stopped altogether, because of an e-mail from a "concerned citizen" accusing Freemasonry of being a cult. The reason for ceremony's postponement was an e-mail sent by a concerned citizen to the district, Superintendent Stan Carrizosa said. The e-mail's sender, who the district would not identify, said among other things, that the Masons were a cult. The e-mail, which included references to the Web site www.freemasonrywatch.org as the source of that claim, also said: "My primary concern is that this ritual Friday will give Satan grounds to oppress or harass the administration, teachers and the students — even if ever so subtly." The e-mail went on to ask the district to have "mercy on the administration and children of Cottonwood Creek and cancel the ritual or at least postpone it until you are clear in your mind, after due diligence and study, that the ritual is just a dedication or indeed is an avenue of evil to exploit." One e-mail from a crank stops a centuries-old ceremony that George Washington himself took part in at the founding of our nation's capital. After considering the concern, Carrizosa said the district plans to reschedule the dedication to take place in the evening, sometime this month so students and parents who choose not to participate won't have to. Just thought it might be time to remind some folks about Brother Kipling's poem. Outside -- "Sergent! Sir! Salute! Salaam!" An Associated Press article is making the rounds today concerning the Masonic membership of Governor Robert Riley in an Alabama lodge. Specifically, it takes him to task over the apparent "whites only" makeup of the Grand Lodge of Alabama. BIRMINGHAM, Ala. - Gov. Bob Riley is defending his membership in a Masonic organization that critics say excludes blacks. Riley, a Republican who is running for re-election against Democratic Lt. Gov. Lucy Baxley, is a member of a Masonic lodge in his east Alabama hometown of Ashland that is affiliated with the Grand Lodge of Alabama, a statewide group with no known blacks among more than 30,000 members. Speaking in an interview with The Associated Press, Riley said he did not know whether his lodge had any black members. But Riley denied that the Masonic group is racist, as did two leaders of the organization in interviews Friday. Riley's membership in the Masons has been mentioned on Internet blogs and was a hot topic on a Birmingham-based talk show hosted by Russ and Dee Fine, Baxley supporters who claim they were fired earlier this week partly for pointing out Riley's membership in the Masons. In an interview, Dee Fine said a governor shouldn't be a member of an all-white group, particularly since Grand Lodge documents dating to 1876 show it bars blacks as members. Riley said the comments about his ties to Masonry are "bordering on ridiculous." He said that he knows some black Masons. "Both Shriners and Masons do a lot of good." Yes, he may very well know some black Masons. They are Prince Hall Masons, and he is prohibbited by his Grand Lodge from communicating Masonically with them. They certainly aren't members of the Grand Lodge of Alabama, at least not according to the Grand Master. The head of the Grand Lodge of Alabama, Grand Master Frank W. Little, said he knows of no blacks among the 32,000 members of the state organization, which has 318 lodges and accepts new members by applications and referrals from other members. But Little denied that there is anything in the organization's current constitution or edicts to prevent a black from joining. "To my knowledge I don't know of any black who's ever applied for membership in the Grand Lodge," he said. "Is there anything that would prevent them? No. As the grand master, if I heard of any lodge that denied a man membership because of his race they wouldn't be a lodge for long." But since Masonic law says that no Mason can be asked whether he voted against a petitioner or not, or why he would have voted against a petitioner, and that to ask about such things is a violation of Masonic laws, the Grand Master couldn't possibly hear of such things. Another state Masonic official, Grand Secretary Jerry M. Underwood, said the group has an ethnically diverse membership even though critics say it has no blacks. "We have Hispanics and Indians," he said. "In fact, we brought in an Iranian here in Montgomery a few weeks ago." Why does this sound like a Lenny Bruce routine? Or a scene from Blazing Saddles? I don't for one second believe that Brother Riley is a bigot. It's also likely that he doesn't know the first thing about Prince Hall Masonry - I suspect the subject doesn't come up very often in lodges there. But I absolutely believe that the press will seize on this as an October Surprise during the last six weeks before the election in the Governor's race in Alabama. Undoubtedly the Democratic challenger will make some dramatic statement over the weekend denouncing the Masons as a bunch of old racists. I wouldn't even be surprised if the Governor demitted from his lodge on live television by Monday morning. In fact, I'll bet it pops up somewhere on a Sunday Morning pundit show. All about how the Freemasons are a bunch of racists. My Brothers, de jure (maybe even de facto, in some states) segregation continues to exist in Freemasonry in Alabama, Georgia, Mississippi, Texas, Florida, Kentucky, Tennessee, North Carolina, South Carolina, Louisiana and West Virginia. In Canada, Prince Hall recognition has not been extended in Ontario. Certainly, some few lodges in these states may very well have black members, but those Grand Lodges that have failed to recognize their Prince Hall counterparts will besmirch the rest of us by their passive silence or their attempts to construct legalistic barriers to recognition. People are funny social animals. We all tend to associate with people we feel comfortable with. In states where Grand Lodges have extended joint recognition with their Prince Hall brethren, the Prince Hall lodges have not ceased to be. And there are plenty of Prince Hall Masons who want nothing to do with their white counterparts, either. There has been no talk of mergers, and probably never will. Prince Hall Masonry has a 225 year heritage, older than many other US Grand Lodges, and they are not going away anytime soon. Visitation between lodges has been by mutual agreement, and no Mason has given up his right to object to the visit of a stranger. Lodges that have no problem with joint meetings and degree work have engaged in these events happily, but no one has forced anyone to do so. Unfortunately, now that this story has hit the fan, the rest of us will have to answer the criticism. "Gee, I read that Freemasonry is made up of a bunch of racists." It only is in a small, isolated part of the world. And the rest of us are ashamed. "Separate but equal" died in this country with Brown v. Board of Education in 1954, my Brothers. The time has come to put this shameful issue to rest once and for all. A fraternity that espouses universal brotherhood either means it or it doesn't. The time has come to put aside the fear, put aside the rhetoric and extend the hand of brotherly love and friendship on both sides of the color barrier. THE GREAT ARCHITECT AND "WAR & PEACE"
The Burning Taper blog is reporting that the Grand Lodge of North Carolina has once again voted against recognizing their Prince Hall brethren. I understand from another source that the vote was very close for the last two years, but not close enough to pass. Until just a few short years ago, North Carolina only required a simple majority vote to change legislation. When the vote got closer to passing the recognition of Prince Hall resolution, the assembled voting members passed a new rule that now requires a 2/3 majority to recognize another Grand Lodge in its jurisdiction. An attempt this year to return to the old simple majority vote failed as well, as did a resolution to end voting rights of Past Grand Masters. Passage failed by 43 votes. There are many men who have worked very hard from within to change this situation, and they deserve our thanks and our admiration in the face of adversity. The institutional racism embedded in Freemasonry in the Old South is appalling to the rest of us. There is no place in the fraternity for it. The question is will the mainstream GLs in the South continue to ignore the problem as young professional men say no thanks and move on? There used to be no alternative. There is now. Actions like this give new groups like the UGLA more momentum, and the internet has made it impossible to hide these actions behind the formerly imperceptible facade of Grand Lodge proceedings. The real question is, when will COGMNA stand up and finally call them on it? When will the rest of the North American Grand Lodges realize the international embarrassment this causes and treat the Southern GLs with half as much indignation as they treated the Grand Lodge of Minnesota when it strayed off the plantation and recognized the Grand Lodge of France? They certainly didn't mind yanking recognition of Minnesota. to think of them, be they ever so grand"
Brother Greg Stewart over on Masonic Traveler has done a great historical piece about Hollywood Lodge No. 355 called Hollywood, Jimmy Kimmel, and Freemasonry. Wish I'd been a Mason 28 years ago when I lived in Studio City. Strange, when I think of it. My first attempt to find out who the Freemasons were came after I had seen Murder By Decree back in 1978, in the UA theaters in North Hollywood. It took me a while to find out. I see where Charlie Rangel, Democratic Congressman for the 15th District of New York and longtime George Bush opponant came out swinging in defense of the President yesterday. "I want President Chavez to please understand that even though many people in the United States are critical of our president that we resent the fact that he would come to the United States and criticize President Bush... you don't come into my country, you don't come into my congressional district and you don't condemn my president." I'm not attempting to interject partisan politics into this blog - that wouldn't be Masonic. Nevertheless, I'm no fan of Charlie Rangel, and find myself opposed to almost every position he takes. But Rangel is a patriot, regardless of what you may think of his politics. He served for four years in the Army during the Korean War, and was awarded both the Bronze Star and the Purple Heart. Agree with him or not, he fights for what he believes. It shouldn't be a big surprise. Brother Charles Rangel is a member of Joppa Lodge No. 55 in Harlem. The recent joint recognition between the Grand Lodge of Delaware and the Most Worshipful Prince Hall Grand Lodge of Delaware this past week has brought up the question of which remaining states have not yet extended such privileges between their two principal Grand Lodges. The following are the only US States with no recognition between their two Grand Lodges of any kind: Alabama, Florida, Kentucky, Louisiana, Mississippi, South Carolina, Tennessee and West Virginia. All are former states of the Confederacy. In June of 2002, the Most Worshipful Prince Hall Grand Lodge of Georgia unanimously voted to recognize the mainstream Grand Lodge of Georgia. The GLGA has never considered the question to reciprocate. In September 2004, the mainstream Grand Lodge of North Carolina voted 520 to 459 (53%) in favour of recognition of their Prince Hall counterpart. This did not meet the newly required 2/3 majority to pass. In October 2004, the MWPHGL of NC unanimously voted to recognize the mainstream GL of NC. In October 2005, the Grand Master of the mainstream Grand Lodge of Texas reported that the MWPHGL of TX had offered recognition. The next Annual Communication of the Grand Lodge of Texas is in December. Lest anyone get smug, this is not just an issue confined to the former territory of the Confederacy. In Canada in 1991, the Prince Hall Grand Lodge of Ontario & Jurisdiction offered intervisitation recognition to all mainstream Canadian Grand Lodges. Their invitation has never been reciprocated. The mainstream Grand Lodge of Canada/Province Of Ontario meets again next July. It is not known at this time whether the question will be called. My great thanks go out to the Freemasons of Iowa. Alice and I have had a wonderful couple of days visiting the Grand Lodge. The hospitality was outstanding, and we have made many new friends here. Many thanks to Immediate Past Grand Master Charles Brinkerhoff and Grand Secretary William Crawford for their kindness, their hospitality and their graciousness in giving me an opportunity to address their Grand Lodge. It was a great opportunity to see Wbro. Timothy Bonney for the first time since he left Indiana. Tim was one of the co-authors of Laudable Pursuit, and remains a good friend. A surprise attendee for me was Mark Tabbert, author of American Freemasons: Three Centuries of Building Communities. In spite of his former position at the AASR-NMJ's museum in Massachusetts, and his current one at the George Washington Masonic National memorial (did anyone mention that George Washington was a Mason? ), Mark is actually an Iowa Mason. Thursday evening, Alice and I were honored to be seated at the Grand Master's table for dinner and had the pleasure of dining with the Grand Master of Prince Hall Masons in Iowa, MWBro. Donald W. Austin, and with Davenport Mayor Ed Winborn and his wife Sandy. I also had an opportunity to meet MWBro. 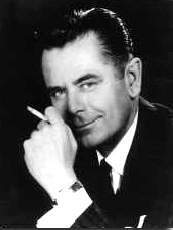 Scott J. Krieger, Grand Master of Nebraska. His Grand Lodge has invited me to speak to them next February - although now that he's heard my presentation he might reconsider! And it was great to finally meet Phil Enabnit, publisher of the Philalethes Magazine. Phil and I got to talk a lot with each other sitting side by side in the vendor's room. He is also the Secretary of the respected Iowa Research Lodge No. 2. In addition to addressing the Grand Lodge session, I was also asked to speak to the ladies on Friday morning. They were great fun, but I refuse to join the OES. White dresses make my hips look fat. Again, my thanks to everyone who made Alice, Wiley and myself so welcome. I cannot express how gratified I am to the many brothers who stopped and bought a book and were so kind to a dummy fro Indiana. They are too numerous to mention, but I am humbled by your many kind words. One event cast a terrible pall over the gathering. On Thursday night, a tragic accident killed Past Grand Master and former Grand Treasurer Allen Heaton and hospitalized his wife Beverly. The hotel sits between two very busy one-way streets, and they were walking across the road to get ice cream from McDonald's. Apparently, they were unaware of an oncoming pickup truck and stepped right in front of it. MWbro. Heaton was also a trustee of Iowa's Masonic Home. He died at the scene while the EMS team tried in vain to save him, but his wife survived. The last update I heard was Friday, and Mrs. Heaton was scheduled for surgery. I fear she will have a long hard road ahead. Our thoughts and prayers go out to their family, and to the Masons of Iowa for their tragic loss of their dear friend and brother. I'm proud to say that as of Wednesday evening, I have been elected to plural membership in Delaware Lodge No. 46 in Muncie. I'm looking forward to new friendships and a proud association with one of the most beautiful lodge buildings in Indiana. Thanks to Wbro. Tim Brinkmeyer and all of the brethren at Delaware Lodge. GAS PRICES FALL TO $2.05 A GALLON IN IOWA! Hot damn, it's an omen! Alice, Wiley and I are hopping in the shuttlecraft and headed for Davenport and the Grand Lodge of Iowa's Annual Communication in the morning. I'm looking forward to this trip. The greatest thing about writing Freemasons For Dummies has been the chance to travel the country and meet Masons from literally everywhere. I've also been asked to speak to the ladies in the morning on Thursday. This is a first for me. The Iowa Masonic magazine said I would have some "entertaining remarks." DOH! LODGE VITRUVIAN'S "MEN OF LETTERS"
The Freemasons of Lodge Vitruvian No. 767 are coming to a bookstore near you. Wbros. Hodapp, Schmitz, Nathan Brindle and Jeffrey Naylor, along with other brethren collectively writing as the "Knights of the North", authored Laudable Pursuit: A 21st Century Response To The Questions Of Dwight Smith, an essay that was first presented at the Lodge Vitruvian festive board in March 2005. It will be published in an upcoming issue of the Philalethes Society magazine. In addition, Past Grand Master of Indiana Roger S. VanGorden will be contributing the Through Masonic Windows column on the back page of the Philalethes Magazine, beginning in September 2006. In the best spirit of competition, honorary Vitruvian member Dr. S. Brent Morris has taken on Vitruvian's "dummy" and written the Complete Idiot's Guide To Freemasonry (Alpha, $18.95). Brent is managing editor of the Scottish Rite Journal of the Supreme Council, 33°, Southern Jurisdiction, and has spoken twice at Vitruvian. 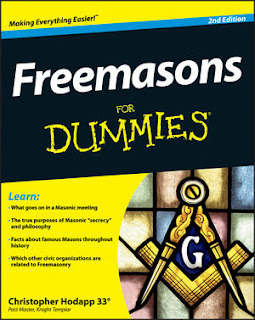 He is also the co-author of Is It True What They Say About Freemasonry? Honorary member Wbro. Stephen Dafoe of Edmonton, Alberta, Canada is a noted author of many books on the Knights Templar, including recently released The Knights Templar Revealed (Constable & Robinson, $7.95), along with being the editor of Templar History Magazine. In the Masonic world, he is the editor of the respected Masonic Magazine, and his new book, Climbing The Winding Staircase is due out in 2007. 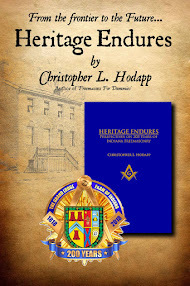 Finally, several Vitruvians have contributed many of the twenty-six essays of the online www.MasonicDictionary.com, a field guide for progressive Freemasonry. I just received the news that my friend and brother, Worshipful Brother David W. Bosworth, PM died of a heart attack this morning. My heart goes out to his wife Ann, his daughter Sheila, and his son Guy. David was a Past Master of Calvin W, Prather Lodge No. 717 in Indianapolis, a member of my own Lodge Vitruvian No. 767, and Masonic bodies far too numerous to mention. He was the Master of the Dwight L. Smith Lodge of Research, and the Vice-President of the York Minster Philalethes Chapter. For many years, he was a regular contributor to the Philalethes Society's email list, until his health began to rapidly fail about two years ago. David was one of the first Masons I ever met just prior to joining the fraternity, and I always valued his humor, his thoughtfulness and his advice. He was truly a larger than life figure, and he will be sorely missed. Farewell, my friend. Brother Glenn Ford passed to the celestial lodge above on August 30th. A nice article from the Grand Lodge of California about him. Brother Ford was raised in Palisades Lodge No. 637 in 1954, and later affiliated with Riviera Lodge No. 780. He received his 50 year award last January.